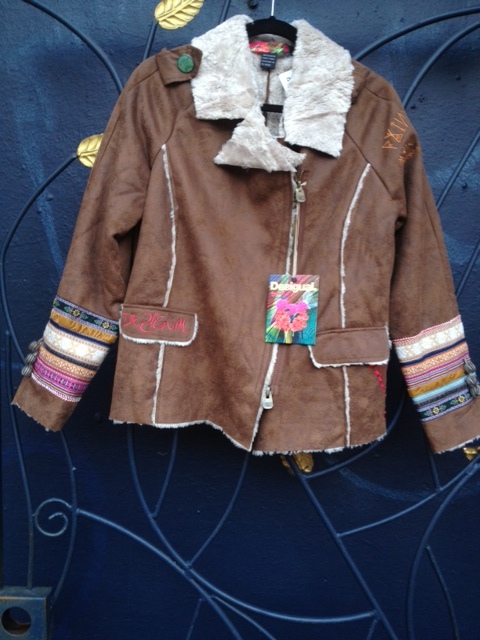 This Desigual Folky jacket is on sale this week at Angel Vancouver (angelvancouver.com). We ship worldwide. We have this Desigual jacket, called Folky, in sizes 42, 44 and 46. We’re offering 20 per cent off this week, reducing the regular price of $284 to $227. The offer expires on Feb. 23. Angel offers one of the largest selections of Desigual in Vancouver, Canada. We carry Desigual for men, women and kids, and have just received our first spring 2013 shipment. Angel Vancouver also specializes in custom hand-painted clothing for adults and kids. This Folky jacket is on sale this week at Angel Vancouver (angelvancouver.com). We ship worldwide. 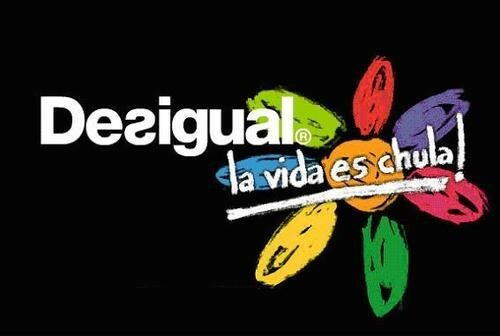 Desigual is a fashion house based in Barcelona that produces 1,000 new pieces each season. It’s slogan this year is La Vida es Chula (Life is Cool). If you don’t see what you’re looking for, we might be able to special order it in, then ship it to you. We ship worldwide. This Electric Love coat, Marilyn top patterned stretch trousers, all designed by Christian Lacroix for Desigual, are available at Angel Vancouver (angelvancouver.com). We ship worldwide. 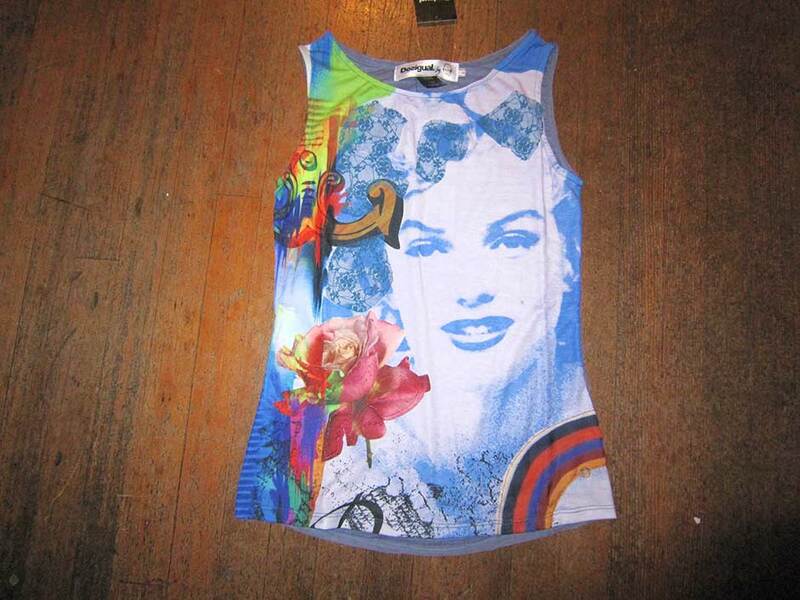 We only have one pair of trousers, size 34, as of today (Feb. 20, 2013), but still have three Marilyn tops. This entry was posted in Christian Lacroix for Desigual, Desigual and tagged Angel Handpainted clothing, Angel Handpainted Fashions, Angel of Vancouver B.C., Angel Vancouver, Christian Lacroix for Desigual, Christian Lacroix for Desigual in Canada, Desigual, Desigual in B.C., Desigual Vancouver B.C., Desigual Vancouver Canada, Gastown, Handpainted clothing, La Vida es Chula (Life is Cool!). Bookmark the permalink.